In a time of rising inequality and sluggish growth, rags to riches stories are harder than ever to come by. Indeed, many of the richest people in the world were born into their wealth. That makes it even more essential that we remember the people who started with nothing, and through hard work, talent, grit, and a bit of luck, managed to rise to the very top. These 20 stories remind us that it's possible to overcome just about anything, from parents passing away, to extreme poverty, and more. The current head of Brazilian oil giant Petrobras spent her childhood in Morro do Adeus, an extremely poor neighborhood that became a shantytown. Her mother worked constantly and her father was an alcoholic. She collected cans and paper to make extra money. She started as an intern at Petrobras in 1978, but broke through barriers to become the company's first female head of field engineering. Bloomberg reports that her tireless work ethic has earned her the nickname Caveirao, for the armored vehicles police use to clean up crime ridden Brazilian neighborhoods. 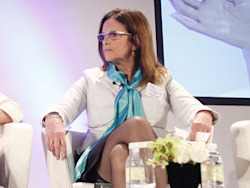 She became the company's first female CEO in February. Do Won Chang and his wife, Jin Sook, moved to America from Korea in 1981. When they first arrived, Do Won was forced to work three jobs at the same time to support them, as a janitor, a gas station attendant, and in a coffee shop. Eventually, they were able to open their first clothing store in 1984. That one store grew into Forever 21, which pioneered fast fashion and is now a multi-national, 480 store empire that generates around $3 billion in sales a year. It's a family business, with the couple's daughters Linda and Esther helping to run the company. Now a billionaire several times over, Harold Simmons grew up in the extremely rural town of Golden, Texas, where he lived in a "shack" that had no plumbing or electricity. He still managed to make it to the University of Texas, and graduated Phi Beta Kappa with a B.A. and masters in Economics. His first venture was a series of drugstores, the first of which was almost entirely financed with a loan. That became a 100 store chain that he sold to Eckerd for $50 million. From there he went on to become a master of the corporate buyout. He currently owns 6 companies traded on the NYSE, including Titanium Metals Corporation, the world's largest producer of titanium. In 1980, when he was 19 years old, Bakala fled communist Czechoslovakia with a $50 dollar bill wrapped in plastic wrap hidden in a sandwich. He made it to Lake Tahoe, where he washed dishes at a Harrah's casino. He eventually got an undergraduate degree from UC Berkeley and an MBA from Dartmouth. He went into banking, and eventually back to his home company, opening Credit Suisse First Boston's first officer in Prague after the Wall fell. presides over a coal company with a $2.52 billion market cap and eight production sites across Central Europe, which broke ground on the first privately owned coal mine in Central Europe since 1992. George Soros survived the Nazi occupation of Hungary after his father paid a government employee, whose Jewish wife he had helped hide in the countryside, to let him pose as his godson. After the war, he escaped the country, which had come under communist rule, in 1947, to stay with relatives in London. 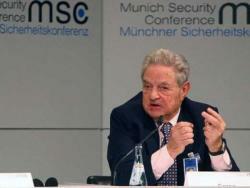 Soros put himself through the London School of Economics by working as a waiter and railway porter. After graduating, Soros sold goods at a souvenir shop before writing managing directors at merchant banks in London until he finally got a job. That was the beginning of a long and enormously successful career in finance, including his famous bet against the British pound in 1992, which earned him more than a billion dollars in profit in one swoop. The Canadian-born Laliberté began his circus career busking on the streets: playing accordion, walking on stilts and eating fire. He gambled by bringing a successful troupe from Quebec to the Los Angeles Arts Festival in 1987, with no return fare. The bet paid off, and the circus group was eventually brought to Las Vegas, where they became the world famous Cirque du Soleil we know today. 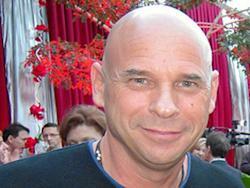 Today, Laliberté is the CEO of Cirque, a professional poker player and space tourist, with a total net-worth of $2.5 billion. 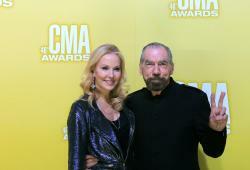 As a first generation American, DeJoria had it rough from the beginning. His German and Italian parents divorced when he was two, and he sold Christmas cards and newspapers to help support his family before he turned 10. He was eventually sent to live in a foster home in Los Angeles. DeJoria spent some time as an L.A. gang member before joining the military. After trying his hand as an employee for Redken Laboratories, he took a $700 dollar loan and created John Paul Mitchell Systems. He hawked the company's shampoo door-to-door, living out of his car while doing so. But the quality of the product could not be denied, and now JPM Systems is worth over $900 million annually. He also created Patron Tequila and has a hand in a variety of industries, from diamonds to music. Before the Lower East Side was cool, it was a hub for gangs. Burns was raised by her single mother in a housing project there. Her mother ran a daycare center out of her home and ironed shirts so that she could afford to send Ursula to Catholic school. She went to NYU, and from there became an intern at Xerox. She's now Xerox's CEO and chairwoman. 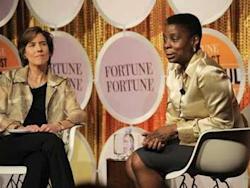 Burns is the first African-American woman to lead a Fortune 500 Company. Schultz grew up in the Bayview projects of Canarsie, Brooklyn. He always wanted to climb "over the fence" and go beyond the lifestyle provided by his truck-driving father. Despite destitution, he excelled at sports and earned a football scholarship to the University of Northern Michigan. 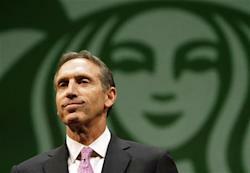 After graduating with a degree in communications, Schultz went to work for Xerox before discovering a small coffee shop called Starbucks. Enamored with the coffee, he left Xerox to become the company's chief executive in 1987. After beginning with 60 shops, Starbucks now has over 16,000 outlets worldwide, giving Schultz a net worth of $1.5 billion. He even went on hiatus and came back as CEO to lead Starbucks out of a decline. The family of Li Ka-shing fled mainland China for Hong Kong in 1940, and Li's father died of tuberculosis when he was just 15. Quitting school to work to support his family, Li made plastics and later plastic flowers for U.S. export. By 1950 Li was able to start his own company, Cheung Kong Industries. While at first manufacturing plastics, the company later moved into real estate. 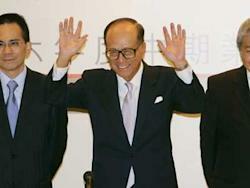 Similarly, Li expanded his ownership of different companies, and today has his hand in banking, cellular phones, satellite television, cement production, retail outlets, hotels, domestic transportation, airports, electric power, steel production, ports and shipping, and investing in cool apps, among other industries. 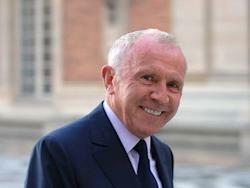 Pinault quit high school in 1947 after being teased for his poor background. He joined his family's timber trading business and in the 1970s began buying up smaller firms. His ruthless business tactics — including slashing jobs and selling his timber company only to buy it back at a fraction of the cost when the market crashed — gave him a reputation as a "predator." He had similar tactics in the real estate business, and did well buying French junk bonds and taking government money to save businesses from bankruptcy. His self-made worth helped him start PPR, a luxury goods group that sells brands like Gucci and Stella McCartney. At one point the richest man in France, Pinault and his family are now worth an estimated $13 billion, and have historic homes around the world. Del Vecchio was one of five children who could not be supported by his widowed mother. After growing up in an orphanage, he went to work in a factory making molds for auto parts and eyeglass frames, where he lost part of his finger. At 23, he opened his own molding shop. That eyeglass frame shop expanded to the world's largest maker of sunglasses and prescription eyeware. Luxottica makes brands like Ray-Ban and Oakley, with 6,000 retail shops like Sunglass Hut and LensCrafters. His estimated net worth is now $11.5 billion dollars. Kerkorian, who learned English on the streets, dropped out of 8th grade to become a boxer. 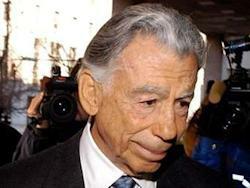 His family was a casualty of the Great Depression, and Kerkorian went about finding skills to help bring income home. He became a daredevil pilot for the Royal Air Force during World War II, delivering supplies over the Atlantic on routes that would crash one in four planes. From the money he made running supplies, Kerkorian became a high roller on the craps table and eventually a real estate magnate in Las Vegas: he bought The Flamingo and built The International and MGM Grand, stalwarts of the Vegas scene. He's worth a few billion dollars today. 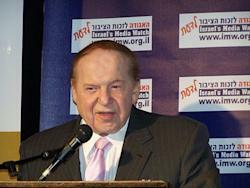 Adelson grew up in tenement housing in Massachusetts, where he shared a bedroom with his parents and three siblings. His father was a Lithuanian taxi driver and his mother had a knitting store. When he was 12 years old, he started selling newspapers and a few years later ran a vending machine scheme on the same corner. Adelson tried his hand at a few different industries, from packing hotel toiletries to mortgage brokering. His biggest break came from developing a computer trade show. 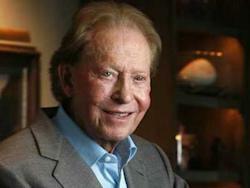 He turned that wealth into a purchase of the Sands Hotel & Casino, and later the mega-resort The Venetian. Kamprad lived the farm life growing up. But he always had a knack for business, buying matches in bulk from Stockholm to sell to his neighbors. He later expanded to fish, Christmas decorations, and pens. 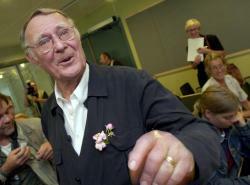 Not satisfied with the small stuff, Kamprad took money from his father (a reward for good grades) and created a mail-order business that eventually became IKEA (the name comes from his initials plus those of his village and family farm). Furniture became the company's biggest seller, and Kamprad's use of local manufacturers kept his prices low. 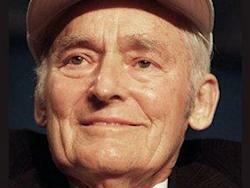 Once one of the world's richest men, his net worth has fallen recently to a an estimated $3 billion. 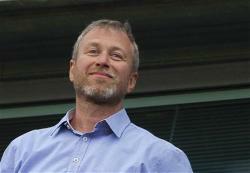 After his parents died when he was just four, the Russian Abramovich was raised by his uncle and grandmother. Abramovich got his first break from an expensive wedding gift from his in-laws. He dropped out of college to pursue his entrepreneurial interests, which at first included selling plastic ducks out of an apartment in Moscow. 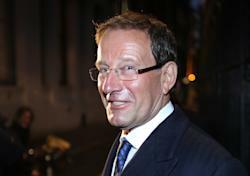 He managed a take over of oil giant Sibneft at a bargain price in 1995. He continued to flip his investments into even larger acquisitions, including Russian Aluminum and steelmaker Evraz Group. Over the years Abramovich has been accused of shady dealings, from paying out bribes and protection money to having a role in the gang feuds over aluminum smelters. It seems that being ruthless has paid off for the billionaire: he now owns the largest private yacht in the world, as well as a ton of other cool stuff. He's also the owner of the Chelsea Football Club. Desmond grew up the son of a single mother after his parents divorced. The two of them lived above a garage, during which time Desmond described himself as "very fat and very lonely." He quit school at 14 to focus on being a drummer, working as a coat-checker to help pay bills. Though he never became rich from his own musical talents, he later opened his own record shops. Eventually Desmond published his first magazine, International Musician and Recording World. The Desmond magazine empire would expand to publications like a British version of Penthouse and Ok!, a worldwide favorite. 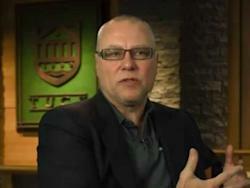 He now owns publications around the globe and is involved in philanthropic work. Walton's family lived on a farm in Oklahoma during the Great Depression. In order to make ends meet, he helped his family out by milking the cow and driving the milk out to customers. He also delivered newspapers and sold magazine subscriptions. By 26, he was managing a variety store after graduating from the University of Missouri with a B.A. in economics. He used $5,000 from the army and a $20,000 loan from his father-in-law to buy a Ben Franklin variety store in Arkansas. He expanded the chain, and then went on to found Wal-Mart and Sam's Club. He died in 1992, leaving the company to his wife and children. Oprah spent the first six years of her life living with her grandmother wearing dresses made out of potato sacks. After being molested by two members of her family and a family friend, she ran away from home at age 13. At 14, her newborn child died shortly after he was born. She went back to live with her mother, but it wasn't until her mother sent her to live with her father that she turned her life around. She got a full scholarship to college, won a beauty pageant —where she was discovered by a radio station — and the rest is history. 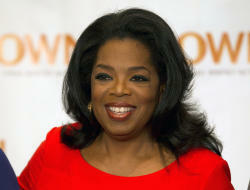 The Oprah name became an empire, and according to Forbes she is worth $2.7 billion.